This overview of top 15 operational PV plants comes in preparation for the first edition of Solar Asset Management Mexico & Central America: development, finance & operations. The additional insights presented in this article are intended to shine light on what seems to be a very bright trajectory for solar in the region. Therefore, we have also outlined a number of the paramount projects that are currently under construction but are estimated to be operational by the end of 2019. 1	 Villanueva 310.00	 Mexico	 F.O. F.O. F.O. F.O. 2	 Don José	 238.00	 Mexico	 F.O. F.O. F.O. F.O. 3	 Nacaome-Valle Solar Park	 146.00	 Honduras	 F.O. F.O. F.O. F.O. 4	 Providencia Solar Project	 101.00	 El Salvador	 F.O. F.O. F.O. F.O. 5	 Horus Energy	 88.00	 Guatemala	 F.O. F.O. F.O. F.O. 6	 Aura Solar II	 F.O. Honduras	 F.O. F.O. F.O. F.O. 7	 Choluteca I and II	 F.O. Honduras	 F.O. F.O. F.O. F.O. 8	 Marcovia F.O. Honduras	 F.O. F.O. F.O. F.O. 9	 Sol Real Project	 F.O. Panama	 F.O. F.O. F.O. F.O. 10	 Aura Solar I	 F.O. Mexico	 F.O. F.O. F.O. F.O. 11	 Pavana Solar plant	 F.O. Honduras	 F.O. F.O. F.O. F.O. 12	 Pacifico Plant	 F.O. Honduras	 F.O. F.O. F.O. F.O. 13	 Coahuila Solar Park	 F.O. Mexico	 F.O. F.O. F.O. F.O. 14	 Jalisco I and II	 F.O. Mexico	 F.O. F.O. F.O. F.O. 15	 Los Santos I	 F.O. Mexico	 F.O. F.O. F.O. F.O. The table presented above showcases the 15 current largest operational projects located in Central America and Mexico, the cumulative capacity of which amounts to 1.2 GW. Although Honduras and Mexico share the same number of solar PV plants on the top 15 list, Mexico is the home to more than 52% of capacity of the top 15 projects. Looking beyond just these 15 projects, Mexico is indeed also accounting for the highest installed capacity, when compared to the Central American countries. Moreover, Mexico has certainly seen an uptick in investments since the introduction of the country’s energy reform in December 2015, with the aim of generating 35% of its energy from renewables by 2024. Mexico’s auction mechanism, also established in 2015, has further bolstered the country’s solar growth, the bidding prices for which have been very competitive. In fact, the country logged the world’s lowest bid for solar in the third auction round. The auctions have resulted in the allocation of 4.5 GW of PV capacity under the three initial rounds. The competitive prices are a testimony to the impact of Mexico's abundant resources, including the fairly low costs associated with utility systems as well as the generous amounts of solar irradiation present in the country. All these factors combined have put Mexico at the forefront of the Latin American solar market. It is also important to highlight the impact of distributed generation (DG), favoured by Mexico’s energy transition program, on the country’s solar growth. According to Greentech Media Research, DG occupied almost one third of Mexico’s solar market share at close to 50 MW last year, closing 2017 with a total capacity of 450 MW. 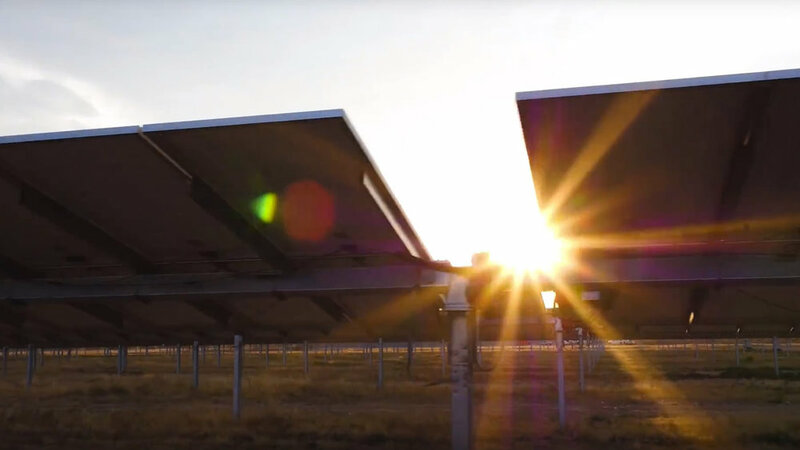 The Mexican Banks Association (ABM) anticipates the market for DG technologies to surpass 8 GW by 2025, driven primarily by solar. Given the low CAPEX and ease of installation associated with solar technologies, renewable technologies also play a crucial role in cultivating DG. On a longer-term outlook, the International Renewable Energy Agency (IRENA) has placed Mexico’s DG potential at 11.3-19.7 GW by 2030. Furthermore, the declining costs of DG coupled with increasing tariffs make the installation of distributed generation an obvious choice for residential customers. From a commercial user stance, companies are inclined to opt for DG as well, given its financial viability and potential to help them meet their sustainability commitments. The giant Villanueva project, developed (and 20% owned) by Enel Green Power Mexico (EGPM) and mostly (80%) owned by CDPQ and CKD IM, sits at the very top of the list representing more than 30% of the cumulative capacity. The Villanueva solar facility is currently 41% operational and once fully operational, it is expected to be the largest plant in the Americas with 754 MW of PV capacity. 120 MW of the project’s overall capacity is provided by Villanueva 1 and the remaining 190 MW by the second half of the project, Villanueva 3. EGMP has invested an additional 64 million dollars to expand Villanueva’s capacity to 829 MW. Another paramount project, which has just started operations at the end of May 2018, is the Don José project that was initially estimated to be inaugurated later in the second half of 2018. Nonetheless, it was announced that this plant will be expanded by 10% by the end of the year. The Don José project is also developed and (partially) owned by Enel Green Power Mexico and marks the company’s second plant to launch operations post Mexican energy reform (with Villanueva project being the first). Combining the capacity of this Mexican duo, Enel Green Power Mexico has developed and (partially) owns 45% of the top 15’s cumulative capacity. The third largest project is the Nacaome-Valle Solar Park, which came online in 2015 and was the largest PV plant in Latin America at the time. A group of private investors from Solar Power Sociedad Anónima (SOPOSA) and Compañía de Energía Solar Sociedad Anónima (COHESSA) co-developed this project and secured a 20-year Power Purchase Agreement (PPA) with the Honduran utility Empresa Nacional de Energía Eléctrica (ENEE). Nacaome-Valle Solar Park was regarded as the most efficient solar plant in the world, by virtue of deploying systems which maximise energy generation and reduce transmission losses. This was partially achieved by pairing each inverter station with ABB’s medium voltage stations and ring main units (RMU) to provide electric balance. Another notable project is the Salvadoran Providencia Solar Project, which started operations in 2017. With a generation capacity of 101 MW, this project marks El Salvador’s first dive into solar. The project was developed and owned by the French independent power producer, Neoen and is the company’s first project in Central America. Overall, although only 17% of the projects in the overview started generating power in 2018, these projects represent approximately half of top 15’s cumulative capacity, which has set the tone for what seems to be only the beginning of significant growth for solar in Mexico and Central America. The future trajectory for Central America and particularly Mexico looks unprecedentedly promising, and powering the home of tequila by the rays of sunshine can be well within grasp. Presented below is an overview of some of the major utility-scale Mexican projects, which are currently under construction and are expected to be operational within the next year. Puerto Libertad	 404	 Mexico	 F.O. F.O. F.O. F.O. Orejana solar PV plant	 158	 Mexico	 F.O. F.O. F.O. F.O. Solem I and II	 350	 Mexico	 F.O. F.O. F.O. F.O. Santa María solar park	 178	 Mexico	 F.O. F.O. F.O. F.O. Tepezalá II	 100	 Mexico	 F.O. F.O. F.O. F.O. Bosphorus PV project	 F.O. El Salvador	 F.O. F.O. F.O. F.O. Puerto Sandino	 F.O. Nicaragua	 F.O. F.O. F.O. F.O. Estrella Solar F.O. Panama	 F.O. F.O. F.O. F.O. 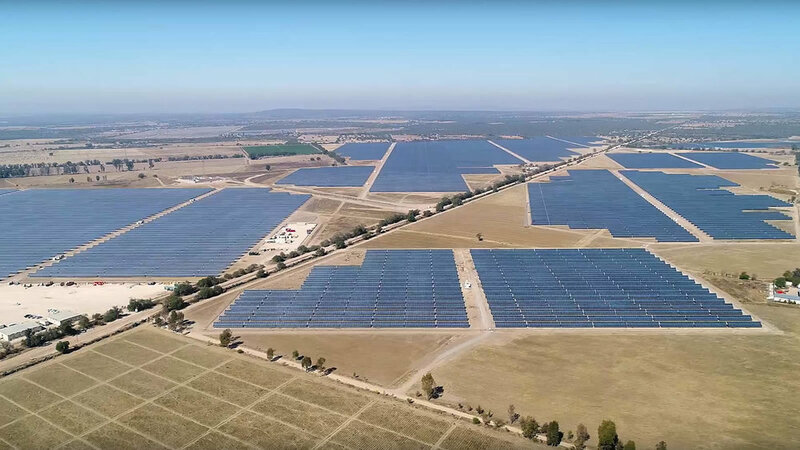 One of the larger scale projects is the Puerto Libertad solar complex, which is a 50-50 joint venture between ACCIONA and Tuto Energy and, upon completion, will be Acciona’s biggest project worldwide. This project will be partially connected to the grid in the last trimester of 2018 and is believed to be fully operational in early 2019. Another notable project in the Mexican solar pipeline (under construction) comprises two PV plants, Solem I and Solem II. The project was awarded a 20-year PPA by the Mexican Federal Electricity Agency, Centro Nacional de Control de Energia (CENACE) for the Clean Energy Certificates (CELs) and 15-year PPA for energy and capacity. Solem I is forecasted to launch operations at the end of September 2018, whereas the second plant is planned to come online at the end of June 2019. In terms of Financing, Mexico has been piloting a few merchant projects. In fact, Jalisco I and II listed in the top 15 are merchant plants. Nevertheless, for larger utility-scale projects, tenders seem to remain the prudent route. Given the growth and momentum in Mexico’s solar investment landscape, the coming year is expected to be yet another groundbreaking year for the country as more and more investors rush to ride the Mexican solar wave. An attractive country in terms of recent solar investments in Central America is El Salvador. The first renewables auction occured in 2014, and contracted 94 MW of PV capacity. In January 2017, the second auction was held, which awarded 120 MW of solar capacity. El Salvador has also received $15 million of investments from FinnFund, a Finish finance company, to fund the construction of 10 solar projects with a total generation capacity of 100 MW. All of these projects are estimated to begin energy production by 2019 and 2020. All in all, despite modest beginnings, the data promises bountiful growth in the coming years for Mexico and Central America, minimising the disparity between the solar potential of these countries and the number of projects actualising. To learn more about managing, operating, developing and financing of solar projects, join Solar Asset Management Mexico & Central America: development, finance & operations, taking place in the bustling Mexico City on 9&10 October. This event will be the first in Solarplaza’s successful Solar Asset Management event series to focus not just on the operational phase of solar assets, but also on the topic of financing and developing new assets.